Bought Here, Serviced Here, Traded Here and Sold Here. 2013 Toyota Camry LE Recent Arrival! CARFAX One-Owner. 25/35 City/Highway MPG NEW ARRIVAL, PREMIUM SOUND, BORN & RAISED AT TOYOTA OF WALLINGFORD, Camry LE, 4D Sedan. Awards: * 2013 KBB.com 10 Best New Sedans Under $25,000 * 2013 KBB.com Best Resale Value Awards * 2013 KBB.com Brand Image Awards WOW TOYOTA...WHERE THE WOW FACTOR IS HIGH!! 2010 Toyota Prius IV Clean CARFAX. CARFAX One-Owner. 51/48 City/Highway MPG Odometer is 63700 miles below market average! NEW ARRIVAL, HEATED LEATHER SEATS, LOADED WITH LUXURY, BORN & RAISED AT TOYOTA OF WALLINGFORD, POWER MOONROOF, NAVIGATION, Prius IV, ABS brakes, Alloy wheels, Electronic Stability Control, Heated door mirrors, Heated Front Bucket Seats, Heated front seats, Illuminated entry, Integrated Backup Monitor, Low tire pressure warning, Natural Leather Seat Trim, Navigation System, Radio: JBL AM/FM/MP3 4-Disc CD Changer, Remote keyless entry, Safety Connect w/Mayday System, Solar Roof w/Navigation Package, Tilt & Slide Moonroof, Traction control, Voice-Activated DVD Navigation System. Awards: * 2010 KBB.com Best Resale Value Awards * 2010 KBB.com Top 10 Green Cars WOW TOYOTA...WHERE THE WOW FACTOR IS HIGH!! 2015 Toyota Corolla LE Certified. CARFAX One-Owner. NEW ARRIVAL, PREMIUM SOUND, BORN & RAISED AT TOYOTA OF WALLINGFORD, TOYOTA CERTIFIED 160 POINT SAFETY CHECK PERFORMED, 7 YR / 100K POWERTRAIN WARRANTY W/ 1YR / 12K COMPREHENSIVE WARRANTY W/ ROADSIDE ASSISTANCE, 3.9% FINANCING AVAILABLE UP TO 60 MONTHS!, Corolla LE, CVT, ABS brakes, Electronic Stability Control, Heated door mirrors, Illuminated entry, Low tire pressure warning, Remote keyless entry, Traction control. Awards: * 2015 KBB.com 10 Tech-Savviest Cars Under $20,000 * 2015 KBB.com 5-Year Cost to Own Awards * 2015 KBB.com 10 Best UberX Candidates * 2015 KBB.com 10 Most Affordable Cars WOW TOYOTA...WHERE THE WOW FACTOR IS HIGH!! 2019 Toyota Corolla SE Recent Arrival! Certified. Clean CARFAX. CARFAX One-Owner. 28/35 City/Highway MPG NEW ARRIVAL, PREMIUM SOUND, SPORTY AND SLEEK, BORN & RAISED AT TOYOTA OF WALLINGFORD, TOYOTA CERTIFIED 160 POINT SAFETY CHECK PERFORMED, 7 YR / 100K POWERTRAIN WARRANTY W/ 1YR / 12K COMPREHENSIVE WARRANTY W/ ROADSIDE ASSISTANCE, 3.9% FINANCING AVAILABLE UP TO 60 MONTHS!, Corolla SE. WOW TOYOTA...WHERE THE WOW FACTOR IS HIGH!! 2017 Toyota Camry SE Recent Arrival! Certified. Clean CARFAX. CARFAX One-Owner. 24/33 City/Highway MPG Odometer is 7264 miles below market average! NEW ARRIVAL, PREMIUM SOUND, BORN & RAISED AT TOYOTA OF WALLINGFORD, TOYOTA CERTIFIED 160 POINT SAFETY CHECK PERFORMED, 7 YR / 100K POWERTRAIN WARRANTY W/ 1YR / 12K COMPREHENSIVE WARRANTY W/ ROADSIDE ASSISTANCE, 3.9% FINANCING AVAILABLE UP TO 60 MONTHS!, Camry SE, 2.5L I4 SMPI DOHC, ABS brakes, Alloy wheels, Electronic Stability Control, Heated door mirrors, Illuminated entry, Low tire pressure warning, Remote keyless entry, Traction control. Awards: * 2017 KBB.com 10 Best Sedans Under $25,000 * 2017 KBB.com 10 Most Comfortable Cars Under $30,000 * 2017 KBB.com Best Resale Value Awards * 2017 KBB.com 10 Most Awarded Brands WOW TOYOTA...WHERE THE WOW FACTOR IS HIGH!! 2019 Toyota C-HR LE Certified. Clean CARFAX. CARFAX One-Owner. 27/31 City/Highway MPG NEW ARRIVAL, PREMIUM SOUND, DEALER MAINTAINED!, BORN & RAISED AT TOYOTA OF WALLINGFORD, TOYOTA CERTIFIED 160 POINT SAFETY CHECK PERFORMED, 7 YR / 100K POWERTRAIN WARRANTY W/ 1YR / 12K COMPREHENSIVE WARRANTY W/ ROADSIDE ASSISTANCE, C-HR LE, FWD. WOW TOYOTA...WHERE THE WOW FACTOR IS HIGH!! 2019 Toyota Camry SE Recent Arrival! Certified. Clean CARFAX. CARFAX One-Owner. 28/39 City/Highway MPG NEW ARRIVAL, PREMIUM SOUND, SPORTY AND SLEEK, BORN & RAISED AT TOYOTA OF WALLINGFORD, TOYOTA CERTIFIED 160 POINT SAFETY CHECK PERFORMED, 7 YR / 100K POWERTRAIN WARRANTY W/ 1YR / 12K COMPREHENSIVE WARRANTY W/ ROADSIDE ASSISTANCE, POWER MOONROOF, 3.9% FINANCING AVAILABLE UP TO 60 MONTHS!, Camry SE, 4D Sedan. WOW TOYOTA...WHERE THE WOW FACTOR IS HIGH!! 2016 Toyota RAV4 Hybrid Limited Certified. Clean CARFAX. CARFAX One-Owner. 34/31 City/Highway MPG NEW ARRIVAL, HEATED LEATHER SEATS, PREMIUM SOUND, LOADED WITH LUXURY, BORN & RAISED AT TOYOTA OF WALLINGFORD, TOYOTA CERTIFIED 160 POINT SAFETY CHECK PERFORMED, HYBRID SYSTEM COVERED UP TO 10 YR / 150K, POWER MOONROOF, NAVIGATION, RAV4 Hybrid Limited, AWD. Awards: * 2016 IIHS Top Safety Pick+ WOW TOYOTA...WHERE THE WOW FACTOR IS HIGH!! 2017 Toyota Sienna XLE 7 Passenger Certified. Clean CARFAX. NEW ARRIVAL, HEATED LEATHER SEATS, PREMIUM SOUND, LOADED WITH LUXURY, BORN & RAISED AT TOYOTA OF WALLINGFORD, TOYOTA CERTIFIED 160 POINT SAFETY CHECK PERFORMED, 7 YR / 100K POWERTRAIN WARRANTY W/ 1YR / 12K COMPREHENSIVE WARRANTY W/ ROADSIDE ASSISTANCE, POWER MOONROOF, Sienna XLE 7 Passenger, AWD. Awards: * 2017 KBB.com 12 Best Family Cars * 2017 KBB.com Best Resale Value Awards * 2017 KBB.com 10 Most Awarded Brands WOW TOYOTA...WHERE THE WOW FACTOR IS HIGH!! 2016 Toyota Tacoma TRD Sport Certified. Clean CARFAX. CARFAX One-Owner. NEW ARRIVAL, PREMIUM SOUND, BORN & RAISED AT TOYOTA OF WALLINGFORD, TOYOTA CERTIFIED 160 POINT SAFETY CHECK PERFORMED, 7 YR / 100K POWERTRAIN WARRANTY W/ 1YR / 12K COMPREHENSIVE WARRANTY W/ ROADSIDE ASSISTANCE, NAVIGATION, Tacoma TRD Sport, 4WD, Quicksand, ABS brakes, Alloy wheels, Compass, Electronic Stability Control, Illuminated entry, Low tire pressure warning, Navigation System, Remote keyless entry, Traction control. Awards: * 2016 KBB.com Best Resale Value Awards * 2016 KBB.com Best Buy Awards Finalist WOW TOYOTA...WHERE THE WOW FACTOR IS HIGH!! 2019 Toyota Tacoma SR V6 Recent Arrival! Certified. Clean CARFAX. CARFAX One-Owner. 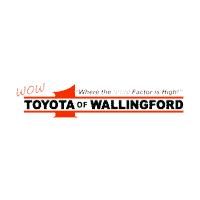 NEW ARRIVAL, PREMIUM SOUND, BORN & RAISED AT TOYOTA OF WALLINGFORD, TOYOTA CERTIFIED 160 POINT SAFETY CHECK PERFORMED, 7 YR / 100K POWERTRAIN WARRANTY W/ 1YR / 12K COMPREHENSIVE WARRANTY W/ ROADSIDE ASSISTANCE, TIRES ROTATED AND REBALANCED, 4D Double Cab, 4WD, Magnetic Gray Metallic. WOW TOYOTA...WHERE THE WOW FACTOR IS HIGH!! 2016 Toyota 4Runner SR5 Premium Certified. Clean CARFAX. CARFAX One-Owner. NEW ARRIVAL, PREMIUM SOUND, BORN & RAISED AT TOYOTA OF WALLINGFORD, TOYOTA CERTIFIED 160 POINT SAFETY CHECK PERFORMED, 7 YR / 100K POWERTRAIN WARRANTY W/ 1YR / 12K COMPREHENSIVE WARRANTY W/ ROADSIDE ASSISTANCE, POWER MOONROOF, NAVIGATION, 4Runner SR5 Premium, 4WD, 17" x 7.0" 6-Spoke Alloy Wheels, ABS brakes, Auto-Dimming Rear-View Mirror, Body Color Heated Mirrors, Compass, Electronic Stability Control, Garage Door Opener, Heated door mirrors, Heated Front Bucket Seats, Heated front seats, Illuminated entry, Low tire pressure warning, Navigation System, Power moonroof, Power Tilt & Slide Moonroof w/Sunshade, Premium Package w/Softex, Remote keyless entry, Traction control. Awards: * 2016 KBB.com Best Resale Value Awards WOW TOYOTA...WHERE THE WOW FACTOR IS HIGH!! 2019 Toyota Sienna XLE 7 Passenger Recent Arrival! Certified. Clean CARFAX. CARFAX One-Owner. NEW ARRIVAL, HEATED LEATHER SEATS, PREMIUM SOUND, LOADED WITH LUXURY, BORN & RAISED AT TOYOTA OF WALLINGFORD, TOYOTA CERTIFIED 160 POINT SAFETY CHECK PERFORMED, 7 YR / 100K POWERTRAIN WARRANTY W/ 1YR / 12K COMPREHENSIVE WARRANTY W/ ROADSIDE ASSISTANCE, Sienna XLE 7 Passenger, AWD. WOW TOYOTA...WHERE THE WOW FACTOR IS HIGH!! 2017 Toyota Tundra TRD Pro Recent Arrival! Certified. Clean CARFAX. CARFAX One-Owner. Odometer is 10529 miles below market average! NEW ARRIVAL, PREMIUM SOUND, BORN & RAISED AT TOYOTA OF WALLINGFORD, TOYOTA CERTIFIED 160 POINT SAFETY CHECK PERFORMED, 7 YR / 100K POWERTRAIN WARRANTY W/ 1YR / 12K COMPREHENSIVE WARRANTY W/ ROADSIDE ASSISTANCE, NAVIGATION, Tundra TRD Pro, 4D Double Cab, 4WD, 38 Gallon Fuel Tank Capacity, ABS brakes, Anti-Theft Immobilizer w/Alarm, Auto-Dimming Rear-View Mirror, Black Tundra Tailgate Insert Badge, Color-Keyed Power Heated Exterior Mirrors, Compass, Deck Rail System, Electronic Stability Control, Front Fog & Daytime Running Lights, Heated door mirrors, HomeLink Universal Transceiver, Illuminated entry, Illuminated Entry System, Low tire pressure warning, Navigation System, Remote keyless entry, Sliding Rear Window w/Privacy Glass, Spray In Bedliner, Traction control, TRD Pro Package. Awards: * 2017 KBB.com Best Resale Value Awards * 2017 KBB.com 10 Most Awarded Brands WOW TOYOTA...WHERE THE WOW FACTOR IS HIGH!! 2018 Toyota Tundra 1794 CrewMax Certified. Clean CARFAX. CARFAX One-Owner. NEW ARRIVAL, CHROME WHEELS, HEATED LEATHER SEATS, PREMIUM SOUND, LOADED WITH LUXURY, BORN & RAISED AT TOYOTA OF WALLINGFORD, TOYOTA CERTIFIED 160 POINT SAFETY CHECK PERFORMED, 7 YR / 100K POWERTRAIN WARRANTY W/ 1YR / 12K COMPREHENSIVE WARRANTY W/ ROADSIDE ASSISTANCE, POWER MOONROOF, NAVIGATION, Tundra 1794 CrewMax, i-Force 5.7L V8 DOHC 32V LEV, 4WD, 1794 Grade Package, Power Tilt & Slide Moonroof w/Sliding Sunshade, Western Grade Package, Wheels: 20" x 8J 6-Spoke Chrome Clad Aluminum. WOW TOYOTA...WHERE THE WOW FACTOR IS HIGH!! 2017 Ford Mustang GT Premium Clean CARFAX. CARFAX One-Owner. Odometer is 12126 miles below market average! NEW ARRIVAL, HEATED LEATHER SEATS, PREMIUM SOUND, NAVIGATION, Mustang GT Premium, ABS brakes, Black Painted Mirror Caps, Black Raised Decklid Spoiler, Blind Spot Info System w/Cross-Traffic Alert, California Special, Compass, Diamond Plate Aluminum Instrument Panel, Door Inserts, Electronic Stability Control, Emergency communication system, Front dual zone A/C, Heated door mirrors, Heated front seats, Illuminated entry, Leather/Miko Suede Seating Surfaces, Low tire pressure warning, Memory Driver Seat, Mirrors & Ambient Lighting, Painted Black Roof, Prem Carpeted Floor Mats w/Red Contrast Stitching, Remote keyless entry, Shaker Pro Audio System, Traction control, Unique Black Upper & Lower Grilles, Wheels: 19" Ebony Black Painted Machined Alum. Awards: * 2017 KBB.com 10 Coolest Cars Under $25,000 * 2017 KBB.com Brand Image Awards * 2017 KBB.com 10 Most Awarded Brands WOW TOYOTA...WHERE THE WOW FACTOR IS HIGH! !